Scientists at MIT have developed an imaging system, named DOLPHIN, which could enable them to find tiny tumors, as small as a couple of hundred cells, deep within the body. In a new study (“Deep-tissue optical imaging of near cellular-sized features”), published in Scientific Reports, the researchers used their imaging system, which relies on near-infrared light, to track a 0.1-mm fluorescent probe through the digestive tract of a living mouse. They also showed that they can detect a signal to a tissue depth of 8 cm, far deeper than any existing biomedical optical imaging technique. Existing methods for imaging tumors all have limitations that prevent them from being useful for early cancer diagnosis. Most have a tradeoff between resolution and depth of imaging, and none of the optical imaging techniques can image deeper than about 3 cm into tissue. Commonly used scans such as x-ray computed tomography (CT) and magnetic resonance imaging (MRI) can image through the whole body; however, they can’t reliably identify tumors until they reach about 1 cm in size. 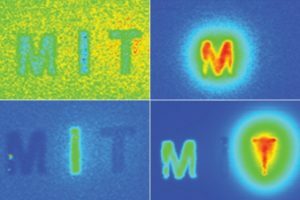 Near-infrared light, which has wavelengths from 900 to 1700 nm, is well-suited to tissue imaging because light with longer wavelengths doesn’t scatter as much when it strikes objects, which allows the light to penetrate deeper into the tissue. To take advantage of this, the researchers used an approach known as hyperspectral imaging, which enables simultaneous imaging in multiple wavelengths of light. To demonstrate the potential usefulness of this system, the team tracked a 0.1-mm-sized cluster of fluorescent nanoparticles that was swallowed and then traveled through the digestive tract of a living mouse. These probes could be modified so that they target and fluorescently label specific cancer cells. “In terms of practical applications, this technique would allow us to non-invasively track a 0.1-mm-sized fluorescently-labeled tumor, which is a cluster of about a few hundred cells. 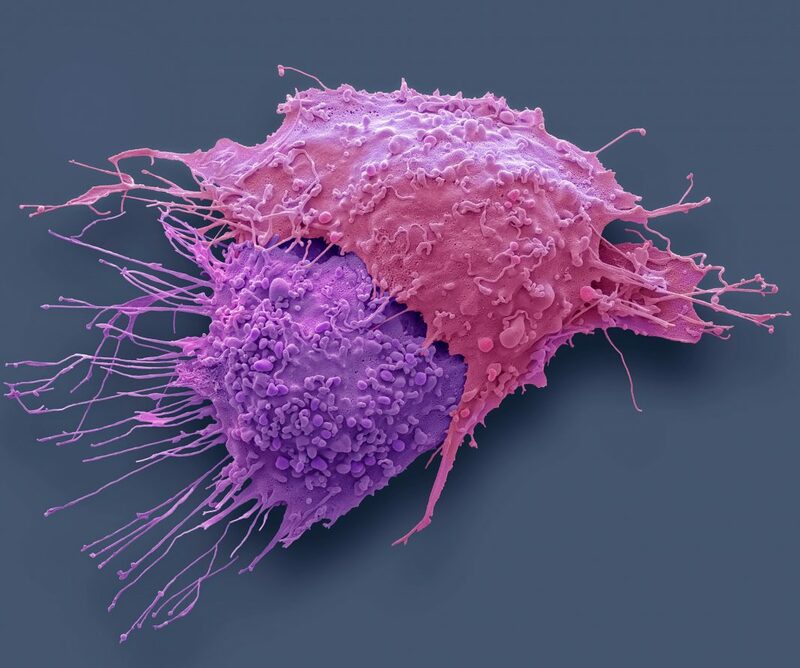 To our knowledge, no one has been able to do this previously using optical imaging techniques,” noted Neelkanth Bardhan, PhD, a Mazumdar-Shaw international oncology fellow. The scientists also demonstrated that they could inject fluorescent particles into the body of a mouse or a rat and then image through the entire animal, which requires imaging to a depth of about 4 cm, to determine where the particles ended up. And in tests with human tissue-mimics and animal tissue, they were able to locate the probes to a depth of up to 8 cm, depending on the type of tissue. This kind of system could be used with any fluorescent probe that emits light in the near-infrared spectrum, including some that are already FDA-approved, said Belcher. The researchers are also working on adapting the imaging system so that it could reveal intrinsic differences in tissue contrast, including signatures of tumor cells, without any kind of fluorescent label. The team has also begun working on adapting this type of imaging to detect other types of cancer such as pancreatic cancer, brain cancer, and melanoma.